Three very different rifles, but with similar controls. 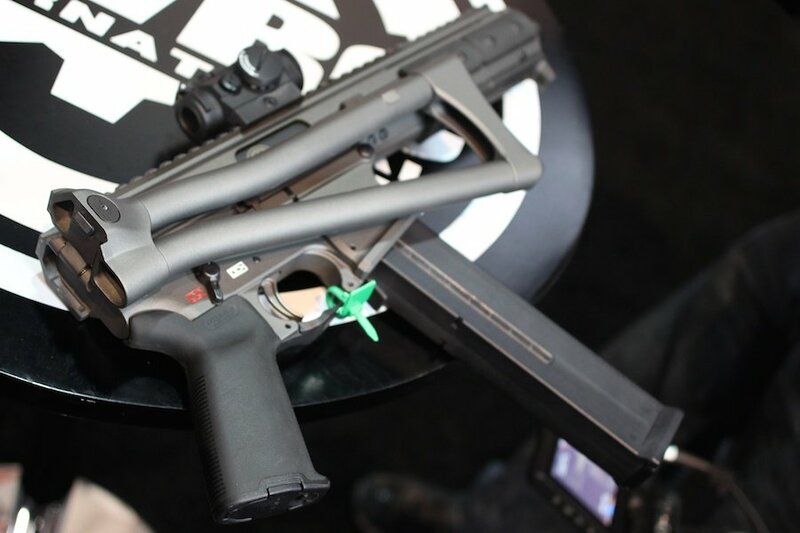 This year at shot Show 2015 LWRC has brought three new guns to the table that are more than just innovative–they are also absolutely awesome. First on the table is the IC-A5. Developed from the M6 line of rifles, the A5 is the epitome of the Piston driven AR-15. The rifle is extremely rugged, but still light. It comes in at 7 Lbs. The rifle has fully ambidextrous controls, which gives its user the ability to run the gun from left or right hand with great efficiency. The rifles overall weight is achieved by its spiral fluted barrel and a mono-forged upper receiver. The rifle is available in Patriot Brown, OD Green, and Flat Dark Earth Cerakote finishes and has a nickel boron treated bolt carrier group. The rifle is chambered in 5.56/.223 but has a brother In 6.8 SPC, your interested in better terminal ballistics. Hear! Hear! on the .45ACP! So, I would really want to shoot this before buying. I shot an actual UMP45, and I've shot the KRISS Super-V. The KRISS is a strange looking but superior weapon. With the iron sites on my first mag I made a nearly perfect smiley face at 25 yards, and felt less recoil than the MP5/40. Nice to see LWRC expanding its lineup, though. It's foldy like a slice of American cheese! They gonna have it in 9? JustinHEMI;160778 Wrote: They gonna have it in 9?